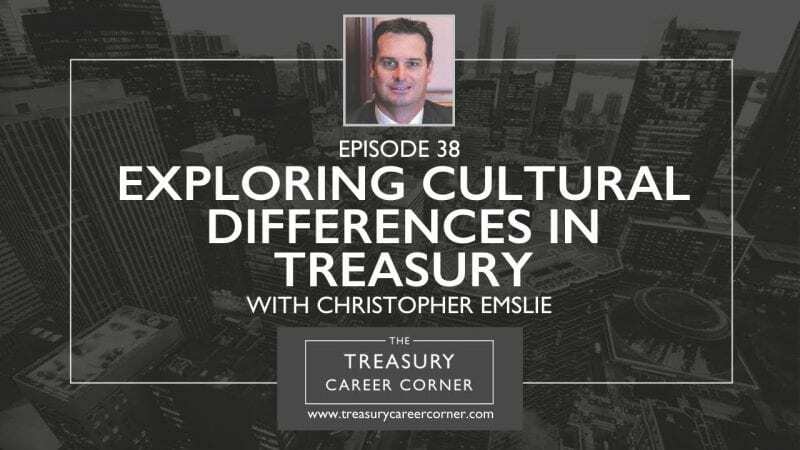 We’ve got another great episode of the Treasury Career Corner Podcast where I interview Treasury professionals about their treasury careers. In this episode, I’m delighted to be joined by Christopher Emslie, the Asian Regional Treasurer at General Mills. Chris Emslie is currently the Asia Regional Treasurer for General Mills and is responsible for all Treasury operations in Asia. Most recently, he was the Country Treasurer for ABB. Chris joined ABB in 2008 first as a SAP consultant for their ERP implementation, then as their Country Credit Manager and finally as their first Country Treasurer looking after South Africa as well as Southern Africa. Chris established the first ABB treasury operation in Southern Africa and spent three years in Singapore as their Country Treasurer. Chris has held various financial positions in South Africa since 1997 after having completed his articles at a small Audit and Accounting firm in Johannesburg. He has been involved in various companies in the financial sphere including Transport & Freight, Security and IT. Chris holds a BCompt Honors degree in Accounting Science from the University of South Africa. If you’d like to get in touch with Chris, you can connect with him via his LinkedIn profile.